This book traces the trajectory of this debate and its effect on public-health policy and the production, manufacture, and consumption of food. Are rising allergy rates purely the result of effective lobbying and a booming industry built on self-diagnosis and expensive remedies? Or should physicians become more flexible in their approach to food allergies and more careful in their diagnoses? 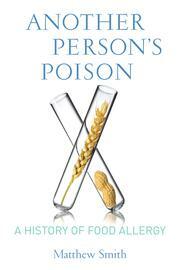 Exploring the issue from scientific, political, economic, social, and patient-centered perspectives, this book is the first to engage fully with the history of a major modern affliction, illuminating society's troubled relationship with food, disease, nature, and the creation of medical knowledge.